Fat Really Makes You Fat! Look Younger & Live Longer! Low-fat and low refined carbohydrate (bad carbs) foods. High fiber complex good carbohydrate foods. Non-fat dairy calcium and protein containing products. Walking 30 minutes six days per week. 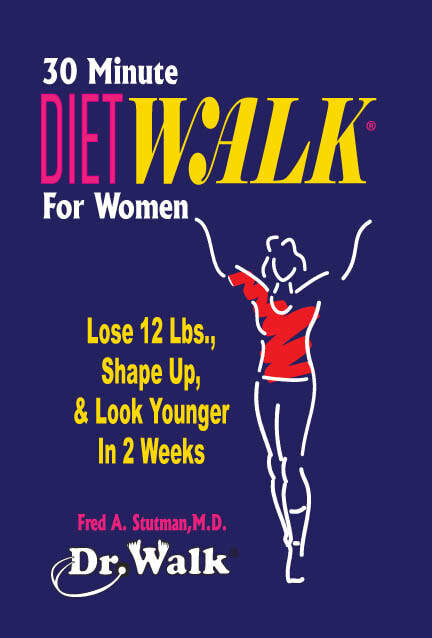 Walk for 30 minutes, three days per week, using hand-held weights for strength training and calorie burning. If you’re in a rush to lose weight, turn to the back of every chapter to read the most important points, then go back when you have time to read more detailed explanations.